Wild and Wolf have launched a collaboration pairing together Hello Kitty with Liberty art fabrics. 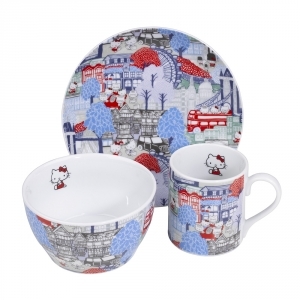 I'm a big Hello Kitty fan and love Liberty's art fabrics so this is an ideal combination for me! I loved Liberty's Hello Kitty collection last year and was really pleased to discover Wild and Wolf's pairing. The collection features mugs, dinner sets and the cutest tea cup set in a vintage style suitcase. My favourites designs are the 'London' pieces. They're ideal for celebrating the Jubilee and would make lovely gifts. 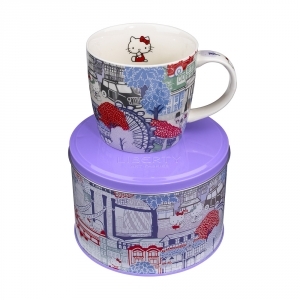 Never really been a huge fan of hello kitty, but the designs are amazing and not over the top. Has that grown up factor to it. 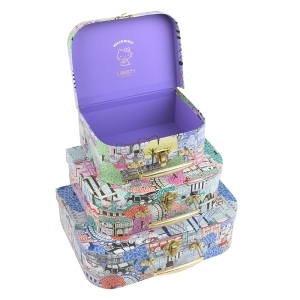 I am so loving the storage cases - I think the are just so cute, yet chic. Aw these are so cute, I love the storage cases! Oh wow- These look AMAZING! I'm not usually big on Hello Kitty but love the look of these! Oh, pretty! I love Hello Kitty too and these designs are slightly more grown up than the norm!